Having emigrated to the UK at the age of nine, Australian-born Shani Rhys James studied at St Martin’s School of Art in London before moving to Powys in her early thirties. Awarded the prestigious Jerwood Painting Prize in 2003 and made an MBE for services to art in 2006, James continues to be one of Britain’s most exhilarating painters. Florilingua is a hybrid word, an odd blend of ‘floral’ and ‘language’. A flowery language. 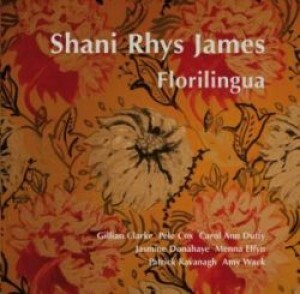 And yet, there is nothing flowery about Shani Rhys James’ art, or indeed the poems that she commissioned in response to her new collection of paintings, The Rivalry of Flowers which toured during 2013: at least, not in the usual understanding of the word ‘flowery’ as something chintzy, over-blown and showy. No, in this collection of image and verse, florilingua represents something much, much more sinister. These flowers are hot-housed – yellowing heads of chrysanthemums, fat as tarantulas, drooping in the claustrophobia of airless, overheated rooms, limp Oriental lilies spilling pollen, staining walls already lurid with pattern and Michaelmas daisies dying, forgotten in now fetid water – exotic blooms that reek of decay, loss, alienation and fear. In both image and verse the lines between the outside and inside are continually being blurred. And yet, neither is safe. In Gillian Clarke’s poem, ‘White Lilies’, the room is a Henri Rousseau jungle where the flora ‘yawn like leopards caged all day’, ‘where something is breathing, is purring, is prowling’. In Jasmine Donahaye’s ‘1, The day before the war’s declared’, the bedsit’s stench of ‘sauerkraut and chips, old oil, boiled fish’ merges with that of the outhouse’s ‘acid smell of cinders leaching in the rain’. The fleur-de-lys wallpaper is made black with mould and smoke and the chandelier hangs heavy from the ceiling. The same brooding menace is there in Amy Wack’s ‘Black 1 (Wales)’ with its relentless list of darknesses – ‘crows’ wings’, ‘bibles’, ‘bombazine’, ‘molasses’, ‘soot’, and ‘bladder wrack’ – an inner and outer landscape fused by mordancy. For Menna Elfyn the subject of ‘Bath’ is her ‘refuge’ yet still the waters burble and ‘the candelabra stutter’. Aping Rhys James’ canvases, these poems ooze colour. 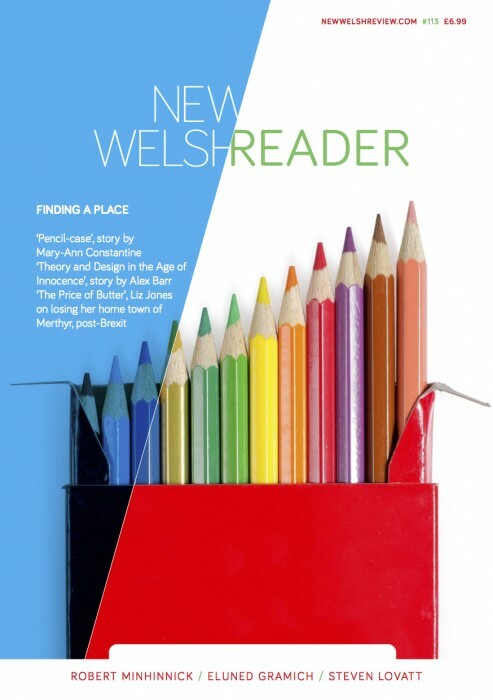 Pele Cox’s ‘The Red Shoe’, ‘a scarlet tramp, the tone of Indian sunsets’, Patrick Kavanagh’s sister wearing ‘lime green’ in ‘My Sister and I’ and the ‘droplets of cerulean blue’ in Amy Wack’s ‘The Bath’. And layer upon layer of yellow (echoing as it does the creeping insanity of the wife in Charlotte Perkins Gilman’s The Yellow Wallpaper), as in Carol Ann Duffy’s ‘Yellow Room’ in ‘Warming Her Pearls’, Patrick Kavanagh’s ‘primrose petals autumn-oranged leaves sunlight’ in ‘The Yellow Song’ and Amy Wack’s sultans fornicating ‘in saffron-hued rooms’ in ‘Yellow’. This coming together of verse and image is a success, the poems bringing new strata of story to the paintings, and vice versa. And yet, Florilingua is not just a book but an installation too. A small, three-sided room unique to the Aberystwth Arts Centre exhibition, a swirling-patterned, Matisse-like, painted interior, still wet with linseed oil and turpentine with a tiny screen inset into one of its walls. The screen is a mouth, a speaking mouth, reminiscent of the projections of Tony Oursler, which recites the poems. A mouth that, as Rhys James says, ‘gives voice to the silent room’. It is this complete experience, that of sight, sound, touch (I have to confess to doing so) and smell that, as an object, the book somehow lacks. That marvellous intense heady amalgamation of canvas and verse is lost in the neat, white, standardised order of its form.